Toqueveille, John-Paul II, Croce, Adorno, Horkheimer, Marcuse, Sartre, Marx, Lenin, Gombrich, Freud, Hauser, Jung, Adler, Kkein, Lacan, Anrheim, Rembrandt, Woheim, Dewey, Richard, Collingwood, Vattimo, Eco, Munro, Langer, Wittengestein, Fubini, Heidegger, Gadamer, Benjamin, Mann, Jay, Luckacs, Husserl, Brecht, Artaud, Rossellini, Visconti, Bergman, Popper, Hume, Perelman, Kuhn, Feyerabend, Vico, degli Angioli, Verga, Shakespeare, Moravia, Lampedusa, Sorrentino, Bruno, Cuoco, De Sanctis, Giannone, Filangieri, Tasso, Marino, Basile, Di Giacomo, Bossi, Dazeglio, Adriani, Freire, Dewey, Gandhi, Montessori, King. Section 6: “One Theater for Peace: A theatrical methodology to develop an education for peace.” A presentation by Alessandra Abis of the Teatro Adriani. In this 22nd session of the Ovi Symposium Ernesto Paolozzi offers us a perceptive commentary in section one on the previous presentation (in session 21st) by Emanuel L. Paparella on the spiritual roots of Europe titled “Does the Center Hold?”. Paolozzi then continues his brilliant analysis of the crisis of neo-positivism in the 19th and 20 century in section two. What is particularly relevant to our search for a New Humanism are the exploration of the crisis within the movement itself which came to a head with the critique of Popper and Kuhn. Paolozzi analyzes the assumption of the positivistic mind-set and the cultural aberrations and general impoverishment to which it gave rise. Particularly relevant are his last two paragraphs where he mentions Giambattista Vico’s nexus between poetry and enlightenment philosophy “in so many aspect resembling that of neo-positivism” concluding that “probably the royal road to pursue remains that of Vico, the reference point for those who wish to abandon the kingdom of abstractions to recover what is alive in things.” Powerful warning indeed! Emanuel L. Paparella follows up on the analysis by revisiting a movie that came out in 1981 and caused a stir in Italy and around the world. The title of the movie is Tre Fratelli [Three Brothers]. It is the story of three brothers who live in different parts of Italy and come together for their mother’s funeral in a region of Southern Italy. They have different temperaments, different life-projects and belong to different ideological persuasions and different parties: the liberal party, the Christian Democratic party and the Communist party still today the three most popular and influential parties in the country. Paparella interprets the movie as being the ideological-political narrative of several European countries assuming that neo-positivism has been superseded by a sort of neutral objective utilitarian instrumental science but in reality remains in the cultural sub-conscious of many of those countries and their people and needs to be explored and even exorcised if we are ever to find out what it really means to be a European. As Paolozzi insightfully declares in his presentation on neo-positivism: “these are the years of cybernetics, and computer science, years in which together with sexual liberation, understood as a creative revolutionary act of transgression, love and eros are reduced to scientific facts; the years in which science and ideology live side by side, without being aware of each other.” Paparella transfers the symbolism of the film’s three brothers to three renowned men who had a profound influence on Italian society: Croce (the liberal secularist), De Gasperi (the Christian Democrat), Gramsci (the founder of the Italian Communist party), attempting to answer this crucial question: is the forging of a new humanism possible beginning with a recognition of the common humanistic roots of the three brothers, that is to say the recognition of a common origin or a common mother called Humanism? The question is addressed not only to Italy, the country where Humanism originated, but to the whole European Union. In section four we present a very interesting interview to Ernesto Paolozzi as it appeared a few weeks ago (March 15, 2014) in an online journal published in New York La Voce di New York. It explores various aspects of the popularity and the subsequent neglect of Croce’s philosophy in the 20th century. Finally, in section six we have Alessandra Abis who continues our exploration of the meaning and the uses of the theater with an insightful presentation on how the Teatro Adriani proposes to use theater for education for peace. This presentation is sure to stimulate a robust dialogue in the symposium on whether or not culture can ever be neutral and devoid of any ideology or philosophical content. Stay tuned. The topic treated by Paparella in his presentation Does the Center Hold seems to me extremely current. In fact, for us Europeans it is very current. Enlightenment, historicism, Christianity are the essential moments for the construction of a thought and a politics which are not merely administration of what exists. I am in agreement with Lino: rationality is not only the rationality of the Enlightenment. There is another rationality which includes that of the Enlightenment but attempts to also understand what is different, imagination, for example, the individual reasons of those who do not accept the values of a pure geometric or syllogistic or mathematical reasoning. With the Enlightenment as Kant noted, man comes out of his juvenile years and becomes an adult. All this is true if we wish to reward the critical daring of reason which does not accept prejudgments and superstitions, which refuses to accept without any critical judgment political and religious authority. Ma this man who is now an adult, not a child any longer, is it now capable of understanding the fears and the doubts of children, of the weak, of the others? If he is incapable of doing that, then he is not truly an adult, at best he is a conceited person. The Enlightenment which is born as an instrument of freedom has often been transformed in the totalitarianism of an abstract thinking, or in political totalitarianism. And this is why historicism, dialectical thinking arrived as an overcoming and a complement of that movement of opinion which was the Enlightenment in the final analysis. In rejecting an abstract and calculating kind of reasoning, the scholastic residue of the century of the enlightenment, historicism reevaluates history, feelings and poetry. Concrete reasoning was the one which was able to grasp the tragic necessity of the negative and at the same time understand the necessary function of what appears to be different from reason. Past history was no longer considered a heap of trivialities to be judged by calculating reason. It was revalued for what it is, a process within which good and evil confront each other, sometimes the former prevailing, sometimes the latter. To reevaluate the process of history also means the ability to grasp what is positive in the past and the ability to understand the motives which generated insignificant or great events which cannot be deleted with the stroke of a pen. Within this perspective I believe it was a mistake for Europe to erase from its foundational Constitution its christian roots. Paparella is correct, the United States of America which are a liberal secular democracy were not averse to their religious roots. Europe’s roots are even deeper. While it is true that my continent has known the religious wars and the tribunals of the Inquisition, that does not justify the renunciation to its history which on many levels is founded on Christianity, aside from the religious dimension that each of us may or may not have. As is well known, Tocqueville, in analyzing American democracy, held that procedural political system, fragile in its very essence, could only be sustained by a strong religious sense; a sentiment which constituted an ethical value system, which could not but be, so to speak, put on the table from sudden and at times irrational choices. A system protected from the tyranny of the majority. For a democracy to be liberal and not totalitarian has to be founded on common values, on freedom and the religious sense. Frankly I cannot say if this line of reasoning is still valid today. It remains interesting, however, and it would be worthwhile to return to a reflection on the reasons which motivated the author of Democracy in America to connect democracy with freedom and religion. Paparella’s reflection spurs us to rethink critically the very foundations of the birth of a United Europe. That would be an opportunity for the whole political world which a mediocre political class is suffocating. The economic crisis has not helped things and has made them worse, but perhaps there is a new critical consciousness on the horizon which, sooner or later, will bring back new passions. Thank you Ernesto for your comments. In effect we are in agreement that one of the negative aspects of the pervading materialistic positivism of our times may well have been the forgetting on the part of the EU of its spiritual heritage with its ethical implications. I also concur that such an heritage is not merely religious (Judeo-Christian) but also covers Greco-Roman culture, the Renaissance, the Enlightenment, Romanticism, the sciences, all sorted out philosophically via metaphysics and aesthetics; which is to say the whole ball of wax. To ignore any of those important aspects is in the final analysis to lose one’s genuine cultural identity and allow the enemies of the West to declare it a decadent civilization. That is what Putin has been selling lately and there are some in the US who agree with him. It goes without saying that nobody in his right mind will advocate today a return to medieval Christendom. Neither is it a call to a slavish imitation of pragmatic progressivistic American culture in all its good and bad aspects. To the contrary, as John-Paul II aptly put it in his address to the European parliament, as quoted in my presentation, it is a question of acknowledging those roots so that Europe may know itself and be more confident that it has other things to attend to and export besides markets and commercial goods. One of the cultural aspects that deserves better understanding and appreciation is undoubtedly the philosophy of aesthetics of Benedetto Croce of which you are a foremost representative. Thank you for that too. Those years of global strife were, of course, the result of a long historical process and a new mind-set which had slowly but firmly expanded in every cultural environment; beginning with the new anti-realist film, to the avant-garde theater and poetics, from psychoanalysis of sociological and irrational mode, to narration. Economic science was placed in doubt as such, considered a bourgeoisie class type of science. There was an attempt to introduce within scientific concepts and empirical research historicist and even political elements. It was not only the use of technology which was considered “bourgeoisie”, but the very environment of scientific research, at the roots of its empirical and logical foundations were doubted. The so called school Frankfurt marked, in many respects, the crown jewel of the new movement of opinion. Adorno, Horkkeimer, Marcuse, who had been persecuted by Nazism and had taken refuge in America, in coming in contact with the growing military world power, elaborated theories which immediately spread. Herbert Marcuse in particular, a philosopher which is today rather obscure, reached a fame comparable to that of Sartre, to the point that his name was on many students’ lips all around the world together with that of Marx and Lenin. His most famous books, Eros and Civilization (1955), and One Dimensional Man (1964) became a sort of revolutionary catechism. The ancient celebrated American virtues, the exaltation of scientific reason, became the negative aspect of a mass society within which man was overcome by a kind of reasoning which was predominantly instrumental imbued by technology, to succumb to a common denominator of conformism, exactly the one dimensional man. This was dubbed a negative utopia by those within the Frankfurt Schools with its goal that of unmasking an assumed civilization, more than imagine a new one. We ought not assume that in those years, as at the beginning of the century, we had a renewed “bankruptcy of the sciences,” as was the case for the first positivism. To the contrary, perhaps as never before scientism and anti-scientism cohabitated in those years. These are the years of cybernetics, and computer sciences, years in which together with sexual liberation, understood as a creative revolutionary act of transgression, love and eros are reduced to scientific facts; the years in which science and ideology live side by side, without being aware of each other. French Structuralism, about which we have hinted, inserts itself, when one thinks of it, exactly in this general climate and it is not coincidental that, as has been observed, on the ashes of historicist historopgraphy, at times a bit arrogant, which flourished in the 60s, reemerges the so called historiography of the Annales, which within its brief resurrection pursues the myth of scientific objectivity, something that cannot even be traced back to its founding fathers before World War II. So, positivism and anti-positivism live together. For the numerous opportunists of culture, there is nothing more profitable than condensing in a dictionary of banality all the common inanities in one or the other. Those are the years in which the study of art flows into three different sectors, semiotics, sociology of art and psychology of art. Even though it is true that those three directions seems to lead to totally different conclusions, opposed to each other, they do have a common vision of the world which constitutes the basis of those three different attitudes. There is little doubt that the semiotic approach to art leads to a research which is merely formal or purely stylistic, within which the play of forms and the search of the logical or grammatical nexus is predominant above all other historical, sentimental and psychological considerations which might interest the critic or the reader. In the case of psychology and sociology of art, the interests are quite different: historical-social for the latter and therapeutics for the former. Once one has accepted the common viewpoint clearly designated by positivism, the differences in each discipline, as it always happens, can be hyped to the point that they become insurmountable obstacles. And this is true within at the core of semiotic, or sociology of art, or the psychology of art. A scholar who is balanced and well mannered, shrewd even if objectionable such as E. Gombrich, offers us an example, among the which that are truly deserving of attention, of an internal criticism at the heart of sociology and psychology of art, via two critical notes: one to the intuitive feelings of psychoanalytical aesthetics found in Sigmund Freud, and the other to the proverbial Social History of Art of Hauser. Both semiotics and psychology of art had a notable success for a few years, but in the final analysis they remained within an academic milieu, propagating themselves as a mere fashion within the various places of modern culture, soon encountering a crisis. Freud’s theories became objects of pedantic interpretations or were absorbed within the banal language of everyday. Various schools and psychoanalysises flourished referring to various scholars such as Jung, Adler, Klein, until in Lacan’s France we arrive at studies which were completely incomprehensible. There were however some interesting and serious researches. The return to gestalt, to the psychology of form, even within the confusion between science and metaphysics, produces some valid studies. But for this to happen, the crisis had to come to its head within the neo-positivistic school itself. A wider dissemination was enjoyed by the sociology of art due to their sociological, historical and political implications and the intertwining of its themes with a certain Marxist aesthetics which could not but be a sociology of art. Obviously a Marxist aesthetic rigorously theoretic could not even be imagined given that when one negates the autonomy of art, one negates ipso facto the very object of aesthetics. In any case, what unified these different takes on art, and what needs to be brought out to the light of day, is the refusal, conscious or unconscious, of the autonomy of art and consequently of philosophical aesthetics as well as the will to interpret works of art by scientific criteria. But these cultural phenomena exhausted themselves, if for no other reason that the emotive push understood as the sense of the new which sustained it, became weaker vis a vis the revealing of the essence of our technological era in all its purity. Since the goal, to say it in a few words, was the goal of hedonistic utility, it was logical that it would put in crisis all metaphysics, even those which originated with science. On this utilitarian level, sociology and psychology of art are not more or less useful than any philosophical aesthetics. It is not difficult to admit it would be sufficient to fill in the blanks which appear at the end of the above statement to obtain the solution to one of the most elusive problems of traditional culture: the one relating to the nature of art. We are assuming of course that the dialogue as above articulated has a certain validity. Let us for the moment assume such a validity without discussing it. But one can rebut that even if we were able to fill the blanks, we would still not obtain the answer to the problem of art, at least not in the mode it has been set-up till now. The problem has always require a unitary solution, that is to say an answer by the form: ‘art is…’ when all we can expect is, at best, is a plurality of answers, as many as there are artistic genres that we have initially distinguished. If then we wish to oppose the fact it is always possible to extract unity from a multiplicity of answers which we have prospected above, uniting them all in a grandiose disjunctive proposition, we would then lose the substance of the preceding rebut. In fact the tradition problem surely intended, even if not explicitly, to exclude whatever solution had such a level of complexity: the “unitary” adjective indicates that was desired was not an answer of the form ‘art is (and one gives the definition of a poetical composition), or (and one gives the definition of a painting, or…’. This way of thinking represents a typical example which may be sufficient to give a sense of the epoch. Of course neo-positivism in its strictest sense had its own genuine aesthetics, in its totality operating within Anglo-American culture. With the exception of John Dewey’s aesthetics, whose complexity, as we have said, deserves a separate analysis and which provoked many debates for being at the border between pragmatism and idealism, American aesthetics was wholly positivistic. From Richard’s aesthetics up to the most recent reflections, has always been around in the labyrinths of the various positivistic schools, even if it possessed as it still does in the United States, a certain success derived from Croce’s aesthetics which was propagated thanks to the work of Collingwood. As one can easily deduce, Munro’s thought reflects, with extreme precision and clarity, the new mind-set which could be defined as neo-positivistic, by which a certain positivistic rigidity is abandoned without however leaving behind an idea of the world incapable of grasping, after all, what there is beyond the abstractions of the intellect. The crisis of positivistic aesthetics is in many aspects is an internal crisis. In its own country or origins, in America it has not produced many relevant theoretical fruits, and therefore in this great country there are ongoing attempts at unification and synthesis, more or less well thought-out, among various cultural experiences, through a transversal reading of analytical philosophies, of Husserlian phenomenology, of Heidegger and Gadamer’s thought and even the Italian historicism. It has produced little fruits above all in the ground which remains the test of any aesthetics, which is to say, on the ground of militant criticism. Indeed the entire positivistic ethics’ system was subjected in the 60s to a crisis of operation, revealing itself incapable to speak to man, to the anxieties of his personality. The same art, becoming more scientific and technological, as if trying to conform to the criteria with which it was being judged, dehumanized itself, losing the connection with man’s life. Computerized art, the cold merely stylistic researches, the pedantic analysis of texts’ fragments, the arbitrary reconstructions of artistic personalities, biography reduced to psychic analysis if not medical, were all elements which conspired in the impoverishment of the world of art and render the elaborations of the critics and the aestheticians (even when transformed in scientific and seemingly neutral language) mere rhetorical exercises. Already, Walter Benjamin, in his very famous essay The Work of Art in the Age of its Technological Reproduction of 1936, had individuated the problem without clarifying exhaustively the terms involved (for example, he underlined the positive aspect of technology in bringing art closer to the people). But as cultural industry grew quantitatively, the problem too became more visible, thus provoking a real cultural battle. The critique of the industrialization of art spread rapidly among University students, in cultural gatherings, in popular magazines, until it became a common idea, becoming itself a victim of cultural industry. In reality it was not simply a willingness on the part of capitalism to exploit art, but it was a question of finding oneself in some aspects in a new dimension with more powerful instruments, via the epoch’s mind-set and literary reproductions of literary fashion which they represented. The figure that stands out among those who critiqued the epoch of cultural industry is that of Theodore Adorno. The very expression “cultural industry” was coined by him in 1947 in a volume authored with Horkeimer titled The Dialectic of the Enlightenment. It became the center of Adorno’s speculation on aesthetics not always easy to understand. On him came together the contemporary musical experience of which he was an expert, the lesson of Martin Heidegger, the Marxist experience, the friendiship and collaboration with Thomas Mann, the belonging to a “school,” that of Frankfurt which gave rise to the so called critical theory, the tragic experience of Nazism and the persecution of the Jews (is it still possible to do art after Auschwitz, asked Adorno), the experience of exile in the United States which put him in direct contact with the heart, so to speak, with the most blatant cultural industry. As we have said, at the end of the 60s, within the confusing protesting climate which ran throughout the whole world (not excluding the apparently stable Eastern world), all global thrusts came together in a confused and general global protest. Even Adorno, who had contributed to it, became its victim, and in 1969 he was publicly criticized by three girls who humiliated him during a lesson with the support of the whole class. A few months later Adorno died. On the other hand, one can trace the deeply confused terms in the same theory of the Frankfurt School which characterized the whole era and is still alive today, our era, so undecipherable, even if easily identifiable within a wide and general context. Those who identify within Marxism one of the characteristics of those years would not be off the mark, neither would be wrong those who individuate the sense of the era to a return to the Enlightenment or even irrationalism, the only genuine ticket to affix at that particular historical moment: phenomenological existentialism, Christian existentialism got mixed up with the most varied avanguard poetics; while the existentialist Sartre, as already noted, banded about Marxism. Next to Lukacs, therefore, we find Husserl, next to Freud, Marx; Bretch was contrasted badly with Artaud. the realism of Rossellini was mixed with the decadentism of Visconti; while the existentialism of Bergman was contrasted with the imperialism of films of social protest of the avant-gardes on the left. While dada or expressionism triumphed there were those who proposed socialist realism. They were indeed years of revolution, of an incoherent rebellion against the whole cultural tradition of Europe. Anything which opposed the triumphant values of the first half of the century was successful, and that explains perhaps the reason for so many absurd hybrid phenomena that can be observed in those years. What happened in politics was mirrored in the cultural field, and vice versa. The crisis of reason, the crisis of art as technique, did not stop neo-positivism from surviving even if now it was not within the masses but within the university, especially American universities, and in milieu that were journalistic or academic. Meanwhile in the purely philosophical field the crisis was coming to a head within the movement itself, beginning with the 50s till it exploded in the 70s. In this regard, the most significant philosophical figure is that of Karl Popper, who, as we have mentioned, leveled within the Frankfurt School itself a rigorous critique of neo-positivistic theories. He intuited the inadequacy and the falsehood of the basic principle on which the men of the Circle of Vienna relied so much: the principle of verification or verificationism. In his most important but also most complex theoretical book, The Logic of Scientific Research, one can read some very insightful pages on the principle of induction by which the impossibility from a purely logical standpoint, to found the epistemological validity of the sciences on induction, and therefore ultimately found the verifiability of scientific theories. In effect, he was reformulating the fundamental intuition of David Hume, the first philosopher, who, in a definitive manner, put into doubt the veracity of science. Naturally Popper, via the principle of verification which he theorized, tended to repropose the possibility of scientific research on another level, introducing historicist elements and, in many respect idealistic or at leas neo-Kantian. He in fact held on to the supremacy of the scientific hypothesis (that to be such needs to be falsifiable in theory) vis a vis traditional research founded on mere experimentation. But although Popper did remain a philosopher inspired by neo-positivism, he certainly was responsible for turning up-side-down the positivistic point of view from inside that same school. On the other hand, other scholars of a similar cultural orientation took their distance from neo-poistivism, as the experience of Chaim Perelman, significant under several aspects, shows who put on the table the issue of the moral function of the so called philosophy of “facts” in as much as it objectively negates the individual’s responsibility denying any value judgment and only admitting factual and descriptive judgments. Perelman attempted to resurrect rhetoric as a form of interpretation of the real placed in between formalistic logic and dialectical logic. His theory of argumentation, which aims at studying discursive techniques apt to induce or to augment the adhesion of the mind to a proposed thesis presented for their assent, even if structurally and logically weak, represents an original attempt nevertheless to overcome the impasse in which the neo-positivists had fallen. But to stay with schools, the decisive break with the neo-positivist school was performed by Thomas Kuhn, who held that a definite scientific discovery, for example that within biological chemistry, is only effectuated within a wider scientific vision of the world. No single discovery could put into doubt (neither the “normal” scientists tend to do it) the general “paradigm” to whose construction contribute various motives which are not only of scientific nature. (See Kuhn’s The Structure of Scientific Revolutions). Kuhn’s theory, as one can easily understand, goes beyond the Popperian theories and pushes the envelope toward an historical relativism which negates any cognitive validity to the sciences and to man in general. The descending parable of neo-positivism will find its final destination at the so called “methodological anarchism of Feyerabend, who in a volume which had some success, Against Method, ended up holding irrational thesis beginning with a very violent criticism vis a vis the traditional scientific method as well as the post-Popperian one. in Italy and the EU—Envisioning a New Humanism? In 1981 an intriguing film directed by Francesco Rosi came out of Italy titled “Tre Fratelli’ [Three Brothers]. It is the simple story of three brothers who are summoned by their father upon the death of their mother from a farmhouse in Southern Italy. One brother Raffaele is a judge living in Rome who is presiding over a terrorism case and is in fear for his life. Another son, Rocco lives in Naples, is religious and works as a counselor at a correctional institute for teenage boys. The third son, Nicola, lives in Turin and is a factory worker involved in a labor dispute and experiencing marital difficulties. At first sight the movie seems to be about the grieving process on the loss of one’s mother and how each brother experiences his own suffering in his own particular way colored by the predicament each finds himself in and the reverie of the past and what may come in the future: Raffaele imagines his death, Rocco dreams of lifting the youth of Naples out of violence, drugs, and corruption, Nicola pictures embracing his estranged wife. Meanwhile, the old man and his young granddaughter explore the rhythms of the farm and grieve together while in the final scene of the film we see the three brothers, the lost second generation between grandfather and granddaughter, carrying their mother’s coffin to the cemetery. I’d like to submit a rather unconventional interpretation which, to my knowledge, has never been proffered in any of the movie’s reviews. I hold that the film is less existentially psychological and/or sociological and more political-cultural and based on the history and culture of Italy. My interpretation is basically this: the mother can be interpreted as an allegorical figure for Mother Italy, the three brothers are allegorical figures representing the three historical movements that have traditionally been in constant conflict in Italy: Catholicism (Rocco), Liberalism (Raffaele) and Socialism (Nicola). They are all interrelated with common cultural roots and can be placed within the context of Italian Humanism, of a new modern humanism, new values on which to build a culture and a moribund civilization, beyond soccer games and common currency as the above quote by Silone powerfully intimates. I also suggest that there may be some insights in this film’s interpretation on the predicament in which the European Union finds itself in at the moment; a predicament partly brought about by its misguided jettisoning of religion and faith from its cultural foundations. To validate my interpretation we need to delve a bit extensively into some historical and ongoing developments of Italian culture. We also need to take a close look at three giants of modern Italian culture and politics: Alcide De Gasperi (who has been extensively examined in two previous articles in Ovi), Benedetto Croce (extensively dealt in Ovi by Ernesto Paolozzi), and Antonio Gramsci, a socialist and the founder of the Italian Communist Party of whom we have spoken in previous symposium’s sessions. Let’s begin our exploration by profiling the three men briefly. Alcide De Gasperi (1881-1954) was an Italian statesman and politician and founder of the Christian Democratic Party. From 1945 to 1953 he was the prime minister of eight successive coalition governments. His eight-year term in office remains a landmark of political longevity for a leader in modern Italian politics. A conservative Catholic, he was one of the founding fathers of the European Union, along with the Frenchman Robert Schuman and the West German Chancellor Konrad Adenauer. Benedetto Croce (1866-1952), the son of an aristocratic Neapolitan family, was a great philosopher and historian of culture who became a living embodiment of liberal culture during the first half of the 20th century. Believing "history is the history of liberty," he opposed all totalitarianisms. During the Mussolini period he withdrew from public life and, though never silenced, lived on the margins of political toleration. After World War II he was felt to be the greatest living symbol of the old liberal Italy and was as such both honored and disregarded. It has taken the likes of Ernesto Paolozzi to resurrect his memory and make us aware of how important he remains to understand anything about Italian and European culture. Antonio Gramsci (1891-1937) is considered the founder of the Italian Communist Party was the son of a poor Sardinian family, ultimately of Albanian extraction. After coming to Turin he became one of the first outstanding leaders of the Italian Communist party. Arrested by Mussolini in 1926, he spent the rest of his life in prison, except for the few days he survived, diseased and physically broken, after his release in 1937. His greatest work was done in prison and became known only when it was published after World War II. Gramsci’s work has been widely popular among Italian intellectuals since the late 1940s. These three men differed sharply from each other and yet they have had a tremendous influence on modern Italian society and its philosophical perspectives. In some way they are the sons of mother Italy. They are the three brothers of Rosi’s movie. All three of them were greatly concerned with the ethical and political normative order of Italian society. To De Gasperi an Italy divorced from its religious Christian ethic was equivalent to putting the cart before the horse. To Croce the historical realization of liberty was the highest good; to Gramsci it was the dialectic of socialist liberation. Those are different visions but they are cemented by a common Italian humanistic culture which precedes the Renaissance and continues after it culminating in The New Science of Giambattista Vico. Each of these men in his own way finally found himself alone. Each, though concerned with power, had to renounce power during the fascist era (1922-1942), to reject his society as it was, and to refuse to collaborate with it. They joined that long line of Italians, saints and heroes, who refused the demands of the powers of their day. It is clear that Croce wishes to broaden the definition of religion beyond the traditionally religious elements he heaps together in the last sentence and that point to Catholicism. In his second chapter, "Opposing Religious Faiths," he discusses Catholicism and socialism as competitors to liberalism, and in his last chapter he discusses a more recent religion he calls activism, which includes, among other things, fascism, though that word is not mentioned. Antonio Gramsci criticized Croce’s History of Europe in the Nineteenth Century for beginning in 1815 and his History of Italy for beginning in 1871, that is, just after but not including the French Revolution in the one book or the Risorgimento in the other. He thus excluded "the moment of struggle; the moment in which the conflicting forces are formed, are assembled and take up their positions; the moment in which one ethical-political system dissolves and another is formed by fire and steel; the moment in which one system of social relations disintegrates and falls and another arises and asserts itself." Gramsci’s view of "religions” is instructive because it emphasizes the element of struggle, of process, of politics. His conception of religion modulates from the Crocean to something more recognizably Marxist: Gramsci sees two major functions of such "religions." Of particular importance to Gramsci is a religion or ideology that can provide a "national-popular collective will" such as he saw in Protestantism in the Reformation or Jacobinism in the French Revolution. For him the particular problem of Italy arose from the fact that the Renaissance was not in this respect the equivalent of the Reformation nor was the Risorgimento the equivalent of the French Revolution. It thus remained the task of Marxism ("The Philosophy of praxis corresponds to the nexus Protestant Reformation plus French Revolution") to awaken the national-popular collective will so long dormant in Italy. Because the papacy, with its ineradicably political implications, has been for centuries an Italian institution, it has therefore, and again until quite recently, been impossible to challenge the Catholic political system without challenging Catholicism as a religion. It is for that reason, especially in Italy, that liberalism, socialism, and activism have had to be civil religions religio-political organisms, in competition with the Catholic civil religion. One of Gramsci’s central theoretical problems is the conditions under which an "organic" intelligentsia is formed, that is, one closely tied to a social group or class, which expresses its inner needs and aspirations, rather than, as has usually been the case in Italy, one that remains isolated from effective social involvement. Gramsci treats Machiavelli as a Reformer in secular guise, a "precocious Jacobin," with a vision of a people armed, a national Italy, and Gramsci used the figure of Machiavelli’s Prince to express the unifying and leading function of the modern Communist party. Gramsci does not mention that in the Discourses Machiavelli expresses an admiration for the religion of the ancient Romans, a truly "civil religion" relative to which he found Christianity largely impotent politically. Nonetheless Machiavelli’s Discourses were undoubtedly one of the sources for that political faith that Gramsci so admired under the name of Jacobinism. Croce contrasted the "democracy of the eighteenth century as mechanical, intellectualist, and abstractly egalitarian, whereas the "liberalism" of the early nineteenth century was personal, idealistic, and historically organic. For Croce, Cavour is the great liberal hero of the Risorgimento, the man with a sense of organic continuity, of history, of the necessity of the monarchy while Mazzini is a mechanical democrat whose views would have ruptured the natural growth of Italian society and who justly failed. It was a sort of failure of the Hegelian dialectic. Gramsci sees the victory of Cavour and the moderates as a "passive revolution," a victory of the ruling classes that the moderates organically and effectively represented but a defeat for the mass of people. In reality both Croce and Gramsci failed to fully appreciate the fact that Mazzini, even if his vision did not prevail, remains the greatest Italian liberal and popular prophet of the nineteenth century. For Mazzini the conception of the Risorgimento, the struggle for Italian unification, completely overcomes the political through the spiritual. Not only is all Machiavellian “ragion di stato” radically rejected, but politics is integrally subordinated to ethics; and ethics is nothing but the application of religious faith. So Mazzini can be considered a precursor of sort of the Christian Democratic Party. He takes up the Italian religious problem, with a view toward a radical solution. The Mazzinian revolution does not reside in a political rearrangement nor in insurrection which is a mere temporary instrument; rather his revolution resides in this inner religious transformation. He speaks explicitly of a new faith, which goes not only beyond the old Christian confessions he now considers impotent, but also beyond the skeptical and materialist non-belief of the eighteenth century. What remains necessary is otherworldly faith, which for Mazzini is faith in God, who manifests himself to humanity through successive revelations; one day, all humanity will be called up to God just as individuals ascend to him in their successive lives. Until such time as social unity is established, ecclesiastical and political authority must remain as independent of each other as possible. But once the new society has really been constituted, there will be no more reason for the separation of Church and state, or of political and religious institutions. Ethics will conform to faith, and will be realized in politics; so, too, the state shall be the Church and the Church shall be the state. Here we clearly see the nexus between liberalism and Catholicism. In the end, of course, the Risorgimento did not lead to such a grand national regeneration. It was a revolution "from above," a passive revolution" leaving the Italian masses largely untouched. The same Cavour would concur with Dazeglio’s famous sardonic statement that “now that we have made Italy we need to make the Italians,” which could be applied to the current EU. Moreover, Cavour’s formula of "a free church in a free state" was not only entirely unacceptable to the Vatican, it woefully underestimated the religious transformation that would have been necessary to create the free people for whom the free church and free state could have had real meaning. Which is ultimately to say that Cavour’s vision remained the special property of a ruling elite and was not really translated into a national culture. Even when liberalism became so widespread among the educated classes, as it did by the end of the nineteenth century, that it was almost taken for granted, it was by no means securely institutionalized among the masses, as the rise of socialist, Catholic and fascist parties uncertainly or not at all committed to democratic institutions would subsequently show. Gramsci in fact, fairly or unfairly, criticizes Croce’s seeming elitist distinction of religion for the masses but philosophy for the educated elite. The question arises here and it arose in Paolozzi’s interview below: is Liberalism as an articulate movement an elitist intellectualistic movement even today? But while the question is legitimate it cannot be denied that since Croce both the Catholic and socialist subculture have felt the powerful influence of liberalism and have in some measure been transformed by it. Finally we come to socialism. After the unification in 1871 the intense moral idealism of Mazzini was gradually replaced by the rise of positivism as the dominant philosophy as Paolozzi has shown above -- Herbert Spencer was everywhere read and quoted. The unification of the country provided the basis for a gradually accelerating industrial growth, particularly in the north but this sign of positivistic "progress" seemed to be creating as many problems as it solved. It is these circumstances that make understandable the emergence of socialism as a major force in Italy. According to Croce the work of Karl Marx, "who created the new religion of the masses’ in the same sense in which Paul of Tarsus created Christianity" was at first known only second or third hand. But when Antonio Labriola discovered Marx’s writing and popularized his theories Herbert Spencer whom everyone had read and quoted as the highest authority, was no longer quoted or read, and was allowed to fall into complete oblivion. The same fate awaited Croce after his death in 1954. After the First World War we enter the Fascist era, what Croce calls the religion of activism defining it as a "morbid romanticism," a parody or perversion of liberalism, a sickness of liberty. Here we can include Italian Futurism focused around the “morbidly romantic” figure of Gabriele D’Annunzio in tandem with Marinetti and even Pirandello. But one thing that differentiated all the activists, D’Annunzio, Marinetti, and Mussolini, from a left-wing socialist like Gramsci and a conservative liberal like Croce was their glorification of war and more particularly their violent interventionism in the First World War. That war, traumatic for so many nations, was a major disaster for Italy. It seriously disrupted the economy and set off an inflation that was serious for wage earners and all but fatal for small property owners and produced a class of ultra-rich war profiteers. It gravely overloaded the political system with serious problems at a time when it had not fully assimilated the consequences of universal male suffrage voted in 1912. One of the new political elements was the emergence of a Catholic party, the Popular party, for the first time since the unification of the country. The 1919 elections showed the two great popular parties were the Catholics and the Socialists; the Liberals, who had ruled Italy for half a century, were a declining political force. Fascism never gained what Gramsci called ideological hegemony and never had an ideology at anything like the level of articulation and sophistication of the Catholics, liberals, or socialists. Fascism in the immediate postwar period was a highly personal movement, an eclectic mixture of whatever Mussolini found that worked. Composed of veterans, former socialists and anarchists, and enraged bourgeois youth eager to fight the socialists as a substitute for the war they were too young for, fascism focused around the leader role Mussolini copied largely from. In free elections Fascism never approached the vote of the Catholics and socialists. Once in power it represented another substitute religion of sort (not unlike Bolshevism) claiming the whole man prescribing what he must admire and what it has to condemn even in art and literature and even its rites and ceremonies. As long as it remained theoretical, Mussolini tolerated the figure of Benedetto Croce, who continued to write and publish all through the Fascist years. But in tolerating it Mussolini largely neutralized that opposition. It was the socialists who took the brunt of Fascism. Gramsci himself, by that time the leader of the Italian Communist party, was arrested in 1926 after his parliamentary immunity was violated and died in 1937 after years of bad food and maltreatment in a Fascist prison. For both Communists and Liberals, Mussolini’s securest basis of popular support came from his religious policy and derived from the Catholic Church. There is no reason to believe Mussolini ever had anything but contempt for the church in his own personal life. The church successfully resisted Mussolini’s efforts, soon after the Concordat, to destroy its lay organization Catholic Action. After the racial laws of 1938 and especially after the German occupation, the church became increasingly alienated from the regime, and the role of many of the clergy in the resistance was a heroic one. The only thing that can explain how the church clung to this strange alliance for so long is the history of bitterness of the first seventy years of the Kingdom of Italy and the fact that the church was at last coming into its own, legally recognized as a central institution of society instead of existing in some limbo of marginal toleration. After the Second World War once again there was the threat of revolution, this time from the armed partisans and workers in the north. This time around the discontent of the mass of people came under the leadership of a reborn Catholic party, the Christian Democrats. The 1948 elections were the high water mark of this upsurge, the greatest electoral party victory in modern Italian history. Never having had a Reformation or a revolution, the formal religions and ideologies continued to float on the surface of Italian society appealing to a mobile educated elite but not permeating much of the substructure except in certain areas of the country where Catholic piety or socialist fervor were genuine popular phenomena (for example, the Veneto for the Catholics and Romagna-Emilia for the socialists). The electoral triumph of Christian Democracy within the institutional framework of the liberal state created a new situation. The very logic of the early cold war forced the church into a defense of liberalism and democracy to a degree unprecedented since the French Revolution. The liberal state, instead of being the church’s persecutor, was now its defender and so had to be evaluated differently. Particularly now that liberalism was not a major independent political force or contender for rule its values could be accepted as the legitimate norms of the state and given religious approval. There emerged a fusion of religious and political values, as the very term Christian Democracy suggests, which led almost to a clerical democratic state. Only under John XXIII the tight hold union of party, church, and state began to be broken on the initiative not of the Christian Democratic party but of the church. It would be based on the symbols of the Risorgimento but it would include the celebration of democratic values to which at several crucial points Catholics had also contributed. The basic implications of the changes are a greater freedom of the church from party and state on the one hand and a wider range of political options for Catholics than support of the Christian Democratic party, options that include support of more vigorously reformist or radical parties of the left. The Italian church in the last fifty years has come a long way out of the wilderness. If the Catholics have, in the last half century, gradually moved back into the centers of power, the same cannot be said of the socialists, who have never held effective power in Italy. Indeed, the history of socialism in Italy is a history of persecution from the very beginning, a persecution that reached catastrophic proportions in 1921 and 1922 and the long night that followed. Since the war socialists have been harassed rather than persecuted, but only in the last few years has a large socialist group, the left-wing Italian Socialist party attained a share of political power, and that certainly not the lion’s share. There has been no aggiornamento within the Italian Communist party, no equivalent to Vatican II. This is due in part to an embattled necessary defensiveness. Nevertheless the Italian Communist party (CPI) has a tradition of flexibility, humanism, and appeal to intellectuals that is perhaps unique in the Western world. It is the tradition of Gramsci which even the former Soviet Union found strange and incomprehensible. This does not by any means mean the CPI is clearly committed to liberal democratic values; it only means in the right circumstances it might be open to that question. So the main problem on the left remains the Italian Communist party, the largest excluded group in modern Italian history. The eventual entry of the Communists into some share of governmental power, unthinkable only a few years ago, has come to be widely discussed. Such an eventuality would create the possibility for the transformation of Communist values in a way parallel to what has happened to the Catholics. But if such a transformation is to be something other than a sellout that will just produce a new mass alienated party to the left of the Communists, it will have to be accompanied by at least the beginning of the solution to some of Italy’s basic social problems. In other words the only way to democratize the socialists is to socialize the democracy. How difficult that will be is already evident from the fruits of the several efforts at establishing a center-left government. But in spite of some grounds for optimism, no observer of Italian society today could call it a happy one. Whatever their differences, the greatest of modern Italian novelists, beginning with Manzoni, all the way to Verga, Moravia, Silone, Lampedusa -- share a fundamental pessimism about the human capacity to alter social institutions. All of them opt instead for a certain dignity and integrity in the individual human soul. Croce, who led at several points an active political life, remains an inspirational example of modest but real institutional successes of modern Italy. Italian history states with stunning clarity the central issues of the sociology of human existence: the very partial institutionalization of morality, the role of the moral hero and the immoral hero, and the problem of when to take power and when to renounce power. And so we are back to the three brothers grieving for their mother. Sometimes the ideology has to die for the dream or the vision to be resurrected. Will a new humanistic Italy resurrect from its grave? An Italy which has been all along ill suited to the straitjacket of modern nationalism, an Italy accustomed to universal phenomena such as the Roman Empire, Christianity, Catholicism, Humanism and the Renaissance. Hard to say, but hope springs eternal. Silone’s quote at the outset of this essay is indicative of what he calls “the conspiracy of hope.” In that essay titled “Emergency Exit” Silone tells us that he left the Communist party because of the corruption he saw in the Soviet Union but he does not consider socialism an ideology but a faith, a faith in the aspiration of the human spirit to justice which goes back to Plato’s Republic and the Acts of the Apostles and the Franciscans owning everything in common and loving each other. Indeed, solidarity, justice and peace are also three brothers who will have to come together not only to bury her but to commit themselves to honoring her memory by exemplary lives. Question from “La Voce di New York”: Last year, the magazine Foreign Affairs has included only two Italian thinkers in the group of men of ideas of the twentieth century: Croce and Gentile. Professor Paolozzi can you remind us of the importance of Croce as part of the Italian and European liberal thought? And above all, the role of Croce as part of the Constituent Assembly and the first phase of the Italian Republic? Answer by Ernesto Paolozzi: The liberalism of Croce has many points of contact with classical liberalism but it is also different in many ways it remains a novelty not yet fully understood. More than a liberal philosopher I would call Benedetto Croce a philosopher of freedom. His liberalism is meta-political. I tried to define it a liberalism methodological liberalism (see Ernesto Paolozzi’s Benedetto Croce: The Philosophy of History and the Duty of Freedom published by the bookshop of the website ovimagazine.com. The Neapolitan philosopher believes that freedom is the fundamental category of history. Of course freedom is not built in a vacuum but in the eternal struggle with its devaluation. History is not the history of freedom in a trivially optimistic sense. Rather it is the history of the struggle for freedom. This clarification is necessary not to confuse Croce with a simplistic inspirational thinker. Freedom does not win or lose permanently. It identifies, in this sense, with the good, with ethics, with the ongoing struggle of the positive against the negative. Freedom is exercised even against ourselves, in that tragic struggle that we all live of the clash between negative instincts and the moral conscience. I would hazard to say that Croce’s ethics is Kant’s ethics set in motion, that is to say historicized. If all this is true, it would explain why Croce tries to avoid the identification of liberalism with some particular economic or political doctrine. We may consider the free market as necessary to freedom but we must not consider the free market, but we cannot say that freedom is equivalent to the free market. We may believe that the declaration of human rights is an essential reference point, but we cannot give up thinking that thpse rights are not natural but historical, constantly changing. The charming liberal theory that power must limit power (power sharing) forces us to reflect on what are the real powers present on the table. Only the Parliament, the Government, the judiciary? The economic, the informational, the religious? Within this perspective we may define Croce a liberal in the American sense. But his historicism can also bring him close to the communitarian philosophers. I think that Croce’s position is a very original one yet to be understood in its full import. Still, it remains true that freedom is not tied to any particular doctrine. Freedom existed before liberalism, capitalism, the natural law. Man is born free and always fights to assert his freedom, then it becomes socialist, liberal, democrat, conservative Catholic, Muslim, and so on. 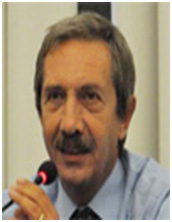 At the Constitutional Assembly Croce defended the secular state without taking anti-religious positions. Croce rebuilt the Liberal Party and took part in the Government of National Unity. He refused the presidency considering himself too old. But his was above all a moral influence. He played an objective role as guarantor with the Americans and the British who placed absolute trust in him. Unfortunately, the political struggle, especially that conducted by the Communists forced Italian culture, tied to big mass parties, isolated Croce. This was a great damage whose consequences Italy is still paying. Croce was also an outstanding scholar of art. His Aesthetics (1900) is still being studied and developed. Yet the concept of art in Croce is considered elitist. Do you agree with this statement. What is art for Croce? The question of elitism stems from a misinterpretation due to the fact that Croce uses the term “pure” to qualify art as intuition. Those who read Croce’s texts superficially, or know his thought by secondary sources or reading only the definitions of school books, feel that the philosopher asserted a claim like “art for art's sake.” For Croce, however, the term “pure” meant that art is a function of an autonomous life, in relation with the whole of life but with its own unique (distinct) function. In short, art is not morality, politics, thought. Art represents life in its various particular aspects. A man is moral or immoral, a landscape is beautiful or ugly, political action can be good or bad. That’s why art can be beautiful even when it represents and ugly landscape and on the other hand it can be ugly (that is to say not art) when representing a beautiful landscape. Art, therefore, cannot be identified with sermons, speeches, political harangues, and it does not necessarily have to chase success (making money, narcissism), and in that sense it is pure. But it is nourished, as we have said, by all the aspects of life. Art is for Croce a form of knowledge, namely, knowledge of the particular, while philosophy is knowledge of the universal. Without art it is not possible to universalize knowledge. Here we must not think only of great art, Dante, Caravaggio, just as thought is not only that of Aristotle or Plato. We are all artists and philosophers because we all intuit and think. This is far from elitism. In some of my writings I have tried to simplify; I apologize if the example is too simple, but it can be useful for the understanding. If I need to meet a person whom I do not know, and I underline the word know, any philosophical or scientific description will be of little help. What needs to be conveyed to me is not whether or not the person has a soul, or is a biped know I stress, I'm not going to help no scientific or philosophical description: has the soul, is a mammal bipeds but whether or not he/she is tall, thin, blonde, with a nose that is a little 'big ..." In other words, I can only know that person through the individual representation of its physiognomy. In this individual representation there is the typical universality of art (we are all able to understand the representation of the These concepts are not easy, but once understood they remain basic. How many pointless arguments about works of art and their "content," on their moral or political which they are purported to transmit to us.message that should be transmitted. It happened even with Sorrentino’s film The Great Beauty. Especially in Italy. Croce and history. An extraordinary adventure that starts with Vico. The evolution of European history seems to have confirmed the theoretical framework of Croce. Is Europe really the land of the free? Croce’s historicism overturns the traditional idea of ​​history. Croce's famous phrase, "Every history, if it is true is contemporary history", shows how the philosopher thinks that within historical thinking one cannot find eternal laws which determine its development. Croce critiques those philosophies of history that on the political level can lead to the justification of totalitarian regimes. The philosopher also shows us how it is not possible to give primacy to the economy, to religion, to thought itself, and so on. There is no absolute principle that mechanically influences the whole of man’s life. It is we who beginning with our present situation with our needs and our interests, our ideals attempt to understand the development of history and once understood it we attempt to modify it. Here is the tile of one of the last books written by Croce: History as thought and as action. Even from this perspective, we can conceive Croce’s idea of history as a philosophy of freedom. In this context Croce (he was also a great historian) traces the history of Europe of the nineteenth century, the century in which the Enlightenment affirms itself even as a national conception as historicism. Think of the '48, the Italian Risorgimento, the consolidation of democratic institutions in all free countries. During Fascism, with the volume on Europe of 1932, Croce hopes and almost prophetically foresees a united Europe under the banner of freedom and democracy. What then happened. In this sense makes Europe the homeland of freedom. Of course, the Italian philosopher knew well that the United States of America were the largest democracy in the world and also the home of freedom. He believed America and Europe deeply united under the sign of the religion of freedom. We come now to Croce and his relationship to Naples. A symbiosis or a disguised self-exile to better focus on the evolution of liberalism in Europe? Cross had a very close relationship with Naples. He wrote its history, researched its artistic and literary creativity. Always objective: never overdoing it or denying the defects. He could not feel his condition was one of exile. He chose to live in Naples because the city was a great world capital of culture of which the philosopher felt part. The city of Giordano Bruno, Giambattista Vico, Vincenzo Cuoco, Francesco De Sanctis, Pietro Giannone, Filangieri of the Enlightenment and the Revolution of '99. Not to mention, on the artistic side, Torquato Tasso, Giambattista Marino, Giambattista Basile and many others. The city that created the comic opera, gave birth to the great season of the song (think of the greatness of Salvatore Di Giacomo), a theatrical tradition still very much alive today. I think this is the underlying reason that led Croce to love his adopted city beyond private motives which we do not know. From Naples led his struggle for freedom even during the years of dictatorship as well as well as one could in those days, keeping up a correspondence, even if with difficulty, with the greatest scholars of the free world. What was the position of Croce on the South and Unity of Italy? Croce thought the Italian Risorgimento and the resulting unit of Italy, one of the greatest masterpieces of political history. He admired Cavour, his liberalism and its concreteness. The man who, unlike Mazzini and Garibaldi was able to hold together the ideal and the real. The many controversial episodes of the Risorgimento could not obscure the overall trend of history. Piedmont and Lombardy, Campania and Sicily, Florence and Rome, Genoa and Venice, despite their diversity found themselves having to win their freedom from foreign rule, political freedoms, economic freedoms. In other words they had to catch up to history if one can say so. With a thousand limits and many difficulties. Thus, even the South of Italy, uniting itself to the rest of Italy, while paying a heavy price, acquired a relative freedom, opened, albeit tentatively, to democracy. This does not mean that we should ignore the dark episodes, the excessive centralization of the early years of unitary governments, the shabbiness that accompanies every turns of history, every revolution or war. Croce did not have a rhetorical attitude (completely foreign to his personality) in respect to the Risorgimento: he defended its essence, so to speak, its ethical- political dimension, as he liked to say. As in the last analysis did the best part of the Neapolitan and southern bourgeoisie culture, which also fought for the unity of the country and paid a high price in blood and suffering. 1. “Freedom existed before…natural law…Man is born free and fights to assert his freedom.” Those two statements come across, to my mind at any rate, as slightly ambiguous and contradictory, perhaps worth pausing upon. It not sufficiently clear to me whether freedom is part of natural law, something man is born with, a constitutive part of his human nature, or is it man that creates his own freedom throughout history? Another way of framing the issue is the following question: is freedom absolute as a value in itself to be discovered or is it relative to the conditions of the polis in which he lives? In other words Is freedom dependent on what in the US Constitution are mentioned and declared as “inalienable rights” that accrue to human nature and that no State can confer or take away? If that be the case, then man must not only fight for his freedom but also discover it, via history and aesthetics no doubt; discover that indeed he is born free (if not exactly innocent) and his inalienable rights are integral part of his human nature and his life on earth, it is not a government or a bloody revolution that confer those rights on him like the rights which accrue to citizenship. A revolution may indeed be needed but only to bring those inalienable rights to the forefront and to convince a tyrannical State that it cannot abrogate them with impunity. I am wondering if I am on track with this line of thought. 2. You allude to it Ernesto but it may be worthwhile to expand on it with more explicit details, in the context of “the high price in blood and suffering,” by Southern Italians to which you correctly refer; that in fact for the sake of unification millions of Southern Italians had to undergo the painful experience of a reluctant emigration (90% of all those who emigrated to the US between 1860 and 1910 were from the South). We need to keep in mind that mass emigration only took place after the unification of the country. Not many people know that some 50% of Southern Italian immigrants returned to Italy after some time in America, proving that their emigration was all but voluntary. My grandfather is one of those. They had to emigrate to the Americas or Australia because economic conditions in Southern Italy not only did not improve with unification but if anything they got worse. One can imagine the real suffering of an emigrant that goes from a beautiful landscape such as that of the gulf of Naples to living in an apartment next to an elevated train in New York or Chicago. Which reminds me of the proverbial almost prophetic statement of the nephew of the Prince of Salina in the novel by Lampedusa Il Gattopardo (1970, now part of the canon of Italian Literature) on the eve of unification: “We must change everything so that nothing changes.” I find it highly ironic that while the impetus for the unification came from the north (Piedmont, Lombardia and Veneto), it is in the North that nowadays we have phenomena such as Umberto Bossi’s Lega party who would like to set up a fictitious Republica Padana politically separate from the rest of Italy; or we may be treated to the sad spectacle at a soccer game of the shouted insults by a northern Italian EU parliamentarian who under the influence of beer (in vino veritas?) shouted “here come the Neapolitans (read Southern Italians), even the dogs are running away from the stench.” In the light of those troubling phenomena, perhaps we can further discuss this intriguing historical conundrum of a unification which paradoxically ended up creating not one but two countries. Was the cart put before the horse? ; was Dazeglio right in exclaiming that “now that we have made Italy, we need to make the Italians”? It seems to me that if that is true for Italy, is it may also be true for the EU. The 21th century is an epoch different to any other in human history. The problems we are facing are global in nature. They include climate change, ever decreasing biodiversity, full use of fresh water on the planet and underpinning all these – overpopulation. Without peace we will be unable to achieve the levels of cooperation, inclusiveness and social equity required to begin solving these challenges, which, if unsolved, empower the international institutions to regulate them according to their rules. The importance of peace to humanity’s survival in the 21th century is undeniable. For this reason we feel that it is necessary to bring to your attention the study of the mechanisms of the conflict and to improve the research of efficient solutions to reach global peace. When Adriani Teatro moved to the United States the idea to use theatrical training to build and improve peace became even stronger. USA is the nations with the highest percentage of ethnic diversity in the world. In 2012, 79,6% of the population in the United States was white (of which 15,8% Hispanic or South American), 12,9% black or African American, 4,6% Asiatic, and only 1% native American. A diverse environment like that of United States shows the need to spread a common knowledge with the aim to promote peace, seriously undermined by the conflictive coexistence of different cultural and religious backgrounds. On the other side, we observed that the diversity of religions and cultures and the non-primacy of any of them, promotes a sense of intellectual freedom in the choice of new forms of communication and solution of the problem of peace. Our conviction, as educational professionals through theatre for about 20 years , is that education is the most powerful instrument to communicate and enhance the knowledge of peace. This belief finds strength in Mahatma Gandhi words: “If we want to reach peace in the world, if we want to make war to war, we have to start from children”. The role of the adult in the educational process needs to change from the one who impose information to the student, to the one who assists the student in the process of discovering new competences. Paulo Freire, the Brazilian philosopher father of the Theatre of the Oppressed, speaks about the “banking education”, addressing to a traditional education in which the student is like a blank bank account that needs to be filled by the teacher using pre-existent information. In our project of education of peace we would like to conjugate the use of a theatrical methodology with the intrinsic meaning of what “education” means, as perfectly said by Maria Montessori in 1932: “Education is, by definition, a pacific action and only in peace it can give the highest fruits of intelligence, sociality, and love. Education is the most powerful weapon of Peace and peace is the best condition in which education can work. If family, school or society put the child in conditions of conflict, of competition or of submission to a dominant adult, it will be denied his right to express himself and consequently he will hide himself and defend his real nature”. Basically this is the seed of war, sacrifice and defiance, because the instinct of a child is not conflict but peace and free obedience. With all these premises Adriani Teatro’s idea of using theatre to promote the education of peace aims not to an artistic product, where professional actors perform a show about peace and war. We intend to use theatre as theatrical animation, meaning a training, based on a sequence of exercises (or games, as we like to call them) usually used to teach dynamics of the stage to actors, to bring our students in a place different from their everyday environment. In this space that we call “theatre”, it is possible to find freedom from pre-existing backgrounds and to re-discover the principles of peace, brotherhood and oneness. The project of using theatrical training with a group of individuals who need and want to investigate the mechanisms of conflict and who want to learn how to substitute them with peaceful strategies has been shared with Auroras Voice, a no profit organization of Delray Beach FL., whose aim is to continue the work of Mahatma Gandhi and M. L. King. The organization, directed by Pablo Del Real, signed an agreement with UNESCO Chair of Peace and Human Development of University of Florence. The connection with Auroras Voice gave us the idea to connect the theatrical training with the six principles of nonviolence set by Dr. King. The use of such a powerful structure gives us the chance to simplify the practical experience of the participants to our experiment. We will try to highlight everyday violent programming developed in our contemporary societies and, through the practical experience of the training, we will try to re-program these beliefs according to the six nonviolent principles of Dr. King. In this occasion, using the kind hospitality of the OVI Symposium, Adriani Teatro is casting a hook for all those who recognize themselves in what we have enunciated here and would like to challenge themselves, their students or the cultural groups in which they are involved to go beyond any social, religious and philosophical belief and try the experience to find themselves in a neutral space where no “cultural background“ is allowed. In that space that we call Theatre we will try to “play” together in order to experience what the world most needs now more than ever: PEACE. www.respublicaspqr.forumcommunity.net – Studi Antropologici – La composizione etnica degli Stati Uniti d’America. “Around 40,7 millions are African Americans including black Hispanic. Around 198 millions are white not Hispanic divided in this way: 50,7 millions come from Germany,36,5 from United Kingdom, 36,5 from Ireland, 17,8 from Italy, 11,8 from France (including Canadian),10 millions from Poland, 5 millions from Netherlands, 4,6 millions from Norway, 4,4 from Sweden,, 3 millions from Russia, 1,5 millions from Hungary,1,5 millions from Denmark, 1,4 millions from Greece and the same from Armenia and Portugal. Almost 15 millions of people come from Asiatic countries, above all Philippines (4 millions), China (3,5 millions), India (2,7 millions), Vietnam ( 1,6 millions) Korea (1,5 millions) and Japan ( 1,2 millions). Native Americans are nearly 4,5 millions of people”. www.unesco.org, Institute of Education for Peace and Sustainable Development Mahatma Gandhi, New Deli, India. Irina Bokova, Director-General of UNESCO. Cfr. J. Dewey, Esperienza e Educazione, La Nuova Italia, Firenze, 1984, pp.13-17. Dr. M. Montessori, Peace and Education, 1971, The Theosophical Publishing House, Adyar, Madras, India.